EXCLUSIVE! 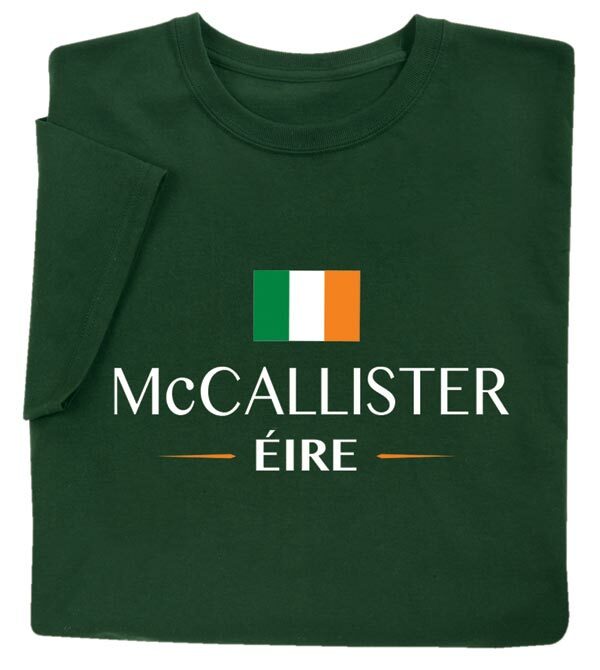 Celebrate your Irish heritage with this beautiful custom shirt. 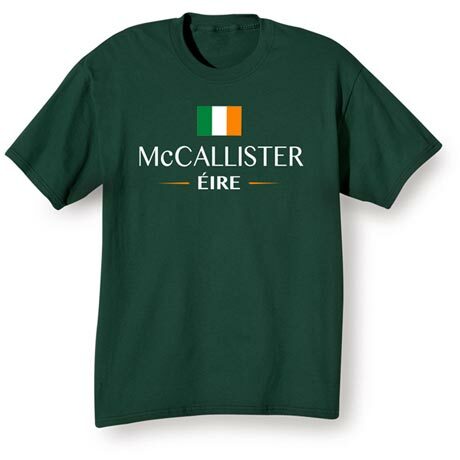 Enter your family name or any phrase in the space below the Irish Flag and show your ethinic pride! Great for family reunions! 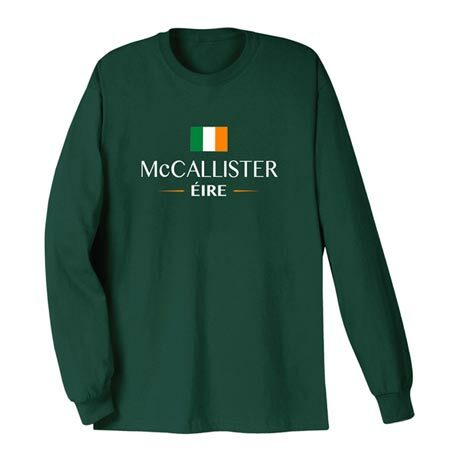 T-shirts are 100% cotton, sweatshirts are a 50-50 cotton/poly blend. Imported shirts. Printing in the USA. Machine wash. M-XXL. Dark green color.